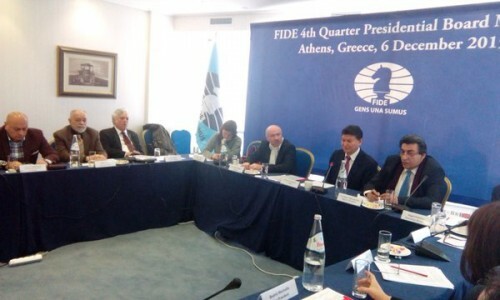 The 4th quarter Presidential Board meeting is being held in Athens, Greece, today 6th of December 2015. 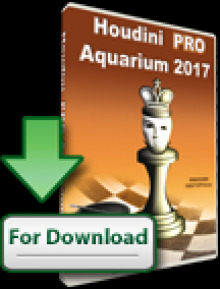 Among the topics like the World Championship cycle and the Women’s World Championship are also the restrictive measures against FIDE President Kirsan Ilyumzhinov introduced by the U.S. Department of Treasury. 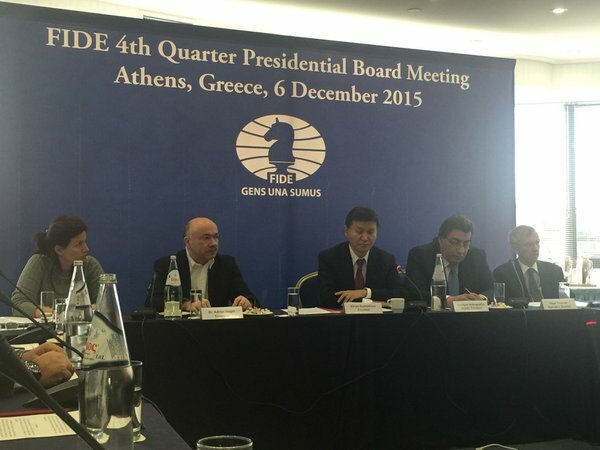 After a full report by the President, Kirsan Ilyumzhinov suggested to suspend his powers as FIDE President until the next Presidential Board. 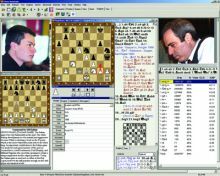 The news came via the Twitter of B. Balgabaev, assistant of the FIDE President. Ilyumzhinov himself described the events from the Presidential board. “I remain president of FIDE. But at my request, the presidential board has limited my authority in the financial sector of the organization in the United States,” – said Ilyumzhinov for “Interfax” on Sunday. 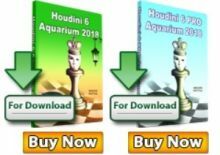 “At the next presidential board I will describe how I will proceed in respect of sanctions imposed by the United States against me” – he stressed.